If you think the $100 million Elin Nordegren received as part of her divorce settlement was a lot of money, you won't believe how much some of these other celebrity divorces cost. It’s been great to see Elin Nordegren has finally been moving on since her 2010 split with golf pro Tiger Woods. Nordegren has recently been dating coal magnate Chris Cline, although we know that it’s not for his money. Nordegren received around $100 million following her split from Tiger Woods, one of the most expensive divorce settlements of all time. It may sound like a lot of money, but compared to some of these celebrity divorces, Nordegren was ripped off. When Juanita Vanoy and Michael Jordan split in 2006 after a 17 year marriage, she allegedly received $168 million. The decision to separate was mutual, and along with her cash sum Vanoy got custody of their children and their Chicago mansion. In May of 2011, after 25 years of marriage, Arnold Schwarzenegger’s wife moved out of their family home. A week later it was revealed that Arnie had fathered a son with am employee who worked in their household, fourteen years earlier. Shriver filed for divorce, and although the divorce has never officially been confirmed, she still is said to have received between $250-375 million. Robyn Moore was an unknown dental nurse when she married Mel Gibson in 1980. 26 years later the pair split and Moore took an alleged $425 million away from the marriage. She certainly wouldn’t have earned that in 26 years as a dental nurse, but on the flip side she was married to Mel Gibson and god only knows what that must have been like. $425 million well earned, we say! CEO of Formula One racing Bernie Ecclestone was married to Slavica Ecclestone for 23 years, fathering two children with the model. The couple split in 2009, Slavica, 28 years her husband’s junior, received an apparent $1.2 billion in the settlement. Rupert Murdoch is the proud owner of not just one, but two, of the most expensive divorces of all time. In 1998 he divorced wife of 32 years Anna Maria Torv. Torv banked an alleged over $1.2 billion, $110 million of which was in cash. Just 15 years later he’d be out of pocket another $1.8 million, after divorcing wife Wendi Deng. Citing “irreconcilable differences,” we’d certainly be reconciled by a couple of billion dollars. The most expensive divorce of all time goes to Alec Wildenstein and Jocelyn Perisse, later known as Bride of Wildenstein. Jocelyn walked in on her husband and his lover, a 19 year old girl 42 years younger than him. She ended the marriage and walked away with an apparent $2.5 billion, the majority of which she seems to have spent on copious amounts of plastic surgery. 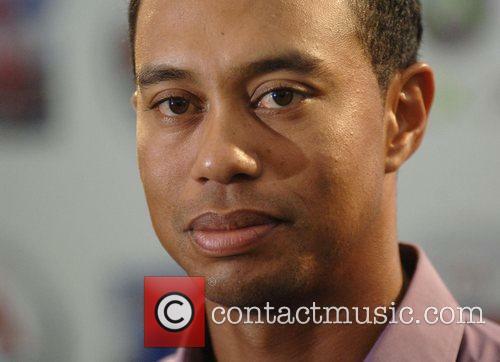 Nordegren Dating Billionaire: Tiger Wood's Ex Moving On To Bigger Things?